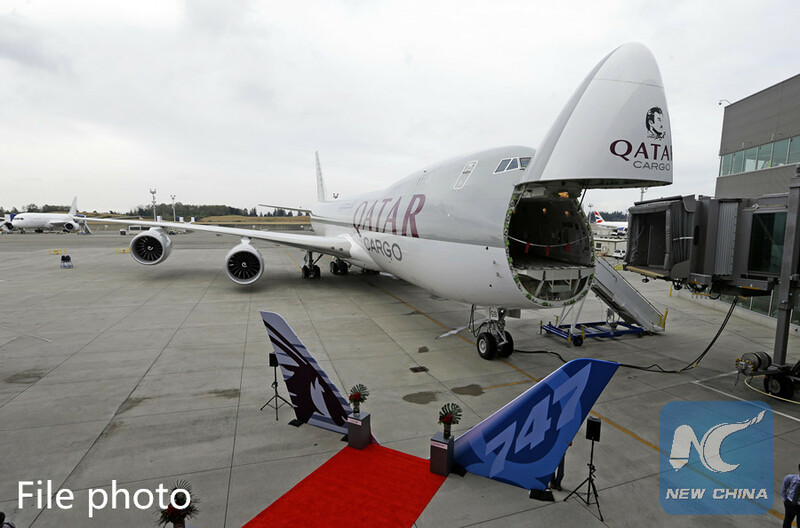 ANKARA, Sept. 14 (Xinhua) -- The Qatari emir has given Turkish President Recep Tayyip Erdogan a Boeing 747-8 aircraft as a gift, reportedly the world's largest and most expensive private jet, a local newspaper reported Thursday. The luxurious jet, worth about 367 million U.S. dollars, landed in Istanbul's Sahiba Gokcen International Airport from France, Daily Yeni Safak reported. With various and spacious staterooms, lounges, boardrooms, first-class seating areas, and even its own hospital, the aircraft is designed to carry 94 people, including 76 passengers and 18 crew members. The jet, gifted by Qatari Emir Sheikh Tamim bin Hamad Al-Thani, is also equipped with a high-class Panasonic in-flight entertainment system and a full camera and security system. The Boeing 747-8 aircraft previously served at Qatar Amiri Flight, the private VIP airline operating exclusively for the royal family and high-ranking government staff of the Gulf kingdom.